My mother loves chocolate and she loves coffee. She loves them almost as much as I do. 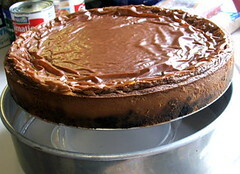 So, when Mother’s Day rolled around this year I decided to make my mom a mocha cheesecake. 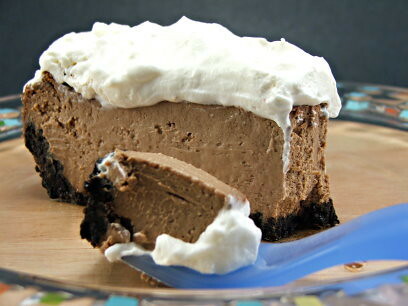 There is something special about the tangy cream cheese and the rich mocha flavor combined. One contrasts the other, yet combined they work so beautifully with one another. I make my cheesecakes in the food processor. I do this for two reasons. 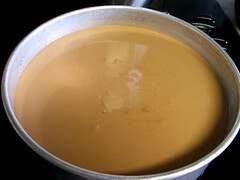 First, the mixture is super smooth and creamy giving the finished cheesecake a silky texture. Second, it is super easy! You just put your room temperature ingredients in the bowl of the processor and hit a button. After a few seconds lumps are obliterated! Awesome! 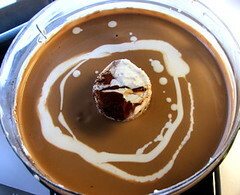 I recommend you do not cheap out on the chocolate in this recipe. 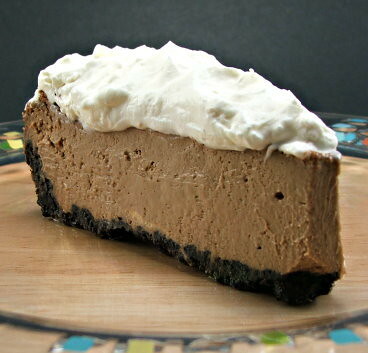 The flavor of the chocolate is the star of this cheesecake, and a substandard chocolate will create a substandard cheesecake. Prepare the crust by mixing the cookies with the butter and sugar. 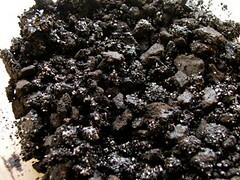 Press into the prepared springform pan. Bake for 10 minutes. 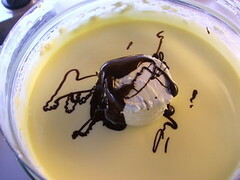 Allow to cool while you prepare the filling. Leave the oven on 350 and add a shallow pan filled with hot water to the oven on the lowest rack. 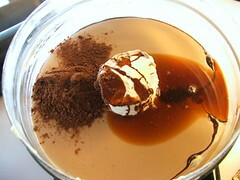 Melt the chocolate over a double boiler until melted. Allow to cool slightly. 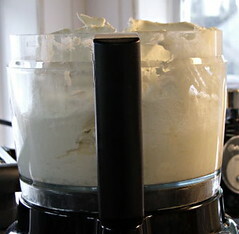 In the bowl of a food processor add the soft cream cheese, cornstarch and sugar. Process until very smooth, about three minutes. With the processor running add the eggs, one at a time. 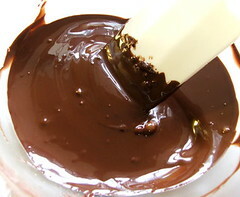 Stop, scrape down the bowl and add the melted chocolate. Process to mix. Next add the cocoa powder and vanilla. Pulse to blend. 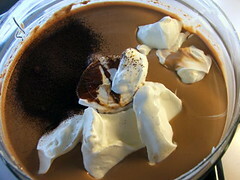 Now add the espresso powder and sour cream. 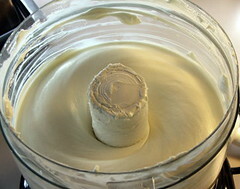 Blend thoroughly, then add the cream. Pulse five times to blend. Do not over blend. Pour the mixture into the prepared crust. Tap on the counter to release any air bubbles. Place on the rack directly above the pan of water and bake at 350 for 20 minutes. Then reduce the heat to 325 and bake for 40 additional minutes. 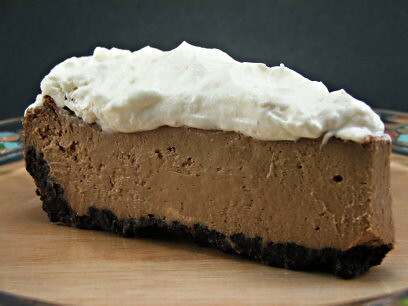 When time is up turn off the oven and allow the cheesecake to cool two hours in the oven. Remove from the oven, run a thin knife around the edge and allow to cool for thirty minutes at room temperature before releasing the pan. 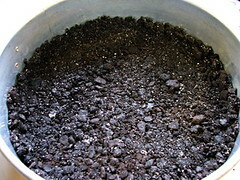 Chill for four hours, or overnight, before serving.